So, the leader of the opposition considers that the media in Gibraltar are biased towards the government? Okay those weren’t Daniel Feetham’s precise words, but when the presenter of GBC’s “The Opposition, Your Questions” programme asked him this he didn’t deny it. 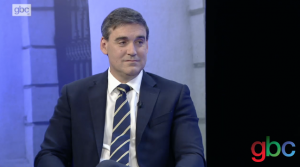 Mr Feetham said the media does not ask the government the difficult questions it should. The media, together with ‘some’ unions and grateful individuals have apparently formed ‘a ring of steel’ around the government and it’s all going to lead to a one-party state, no less. Rather fanciful in my view, but my response is that Mr Feetham and the GSD have the power to prevent that dreaded outcome simply by continuing to stand for election. As to the accusation of bias, well it’s tiresome as well as plain wrong. As a broadcast journalist I heard it from the mouths of politicians of all stripes for over 30 years, and you can’t, by definition, be biased in favour of everyone! He may reflect that the most effective way to work the media isn’t by impugning their integrity. 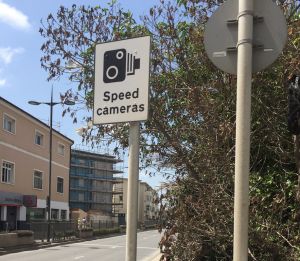 A couple of weeks ago in this column I wrote about the introduction of fixed speed cameras in Gibraltar and what I saw as potential deficiencies in the scheme. It seems to have struck a chord as I’ve had considerable feedback, mostly agreeing with my observations. One message came from an old school friend who now lives in Australia. He explained how it works over there. As with our system the vehicle owner receives an infringement notice but unlike here, where no time frame is specified, he must get it within two weeks of the alleged offence having been committed. The owner has a month in which to respond, stating who the driver was. There are three other significant differences. In Gibraltar you can choose to pay a fixed £100 penalty to avoid letting the matter be decided by the courts. In Australia payment of the penalty is obligatory in addition to any other punishment. Whereas in Gibraltar the penalty is £100 irrespective of how much you were speeding by, in Australia the fine is scaled. If you were over the limit by less than 10 kilometres per hour, for instance, the fine is $180. Exceed it by 40 km/h and it’s $600. Even more importantly, committing a speeding offence incurs demerit points. In the above examples, you get one demerit point for the relatively minor offence but lose your licence for six months for the more serious one. You also get a fine and 3 demerit points for jumping a red light. Accumulate 12 points and you lose your licence. In the UK the minimum penalty for speeding is a £100 fine and 3 penalty points added to your licence. Fixed penalties are graduated depending on the severity of the offence, and if you were going at well over the limit a summons is issued: you don’t have the option of paying the fixed penalty. If you build up 12 or more penalty points in three years you could be disqualified from driving. These measures make sense if the point of the speed cameras is, as the government says, to prevent accidents and save lives. Dangerous drivers must be removed from our roads, and asking them to pay £100 each time they speed isn’t going to achieve that. Is there no limit to Brexit’s reach? It turns out that the repercussions of leaving the European Union won’t be felt just by people: it’s bad news also for birds. And lizards. And frogs. At least, for those in the remaining Overseas Territories and Crown Dependencies it is. 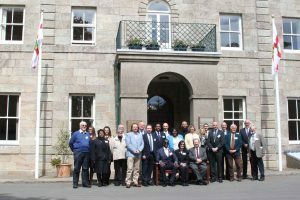 That was the view taken by delegates at a conference in Alderney last month to discuss the future of the environment in these remnants of Empire, ranging from Bermuda and the Pitcairn Islands to the Falklands and Gibraltar. 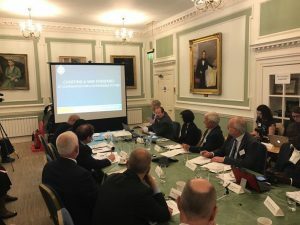 The UK Overseas Territories Conservation Forum coordinated the event, which saw the participation of the environment ministers of most of the territories including ours, Dr. John Cortes. He co-chaired the meeting alongside Alderney’s Chief Executive, Victor Brownlees. The ministers expressed concern about the financial impact Brexit is already having. A paper published last year noted that the Overseas Territories’ importance for biodiversity dwarfs that of mainland UK. 94% of the UK’s endemic species are actually found in the territories. Yet their governments claim that money London would in the past have allocated for environmental protection is being diverted away in favour of traditional job creation. Spending on the climate has been slashed by almost a half, and this could have serious consequences for threatened and endangered species in the UK’s outposts. The Environment Ministers also complain “it can be hard to pin down the Departments and individuals in UK Government who should be consulted”. “Rapid ministerial changes further aggravate the situation”, they add. They say Brexit is not an excuse to put everything on hold and assert that there’s no excuse for stopping environmental protection. If this weren’t bad enough, Brexit will also result in a loss of EU funding. Many territories have received substantial sums from Europe to help not just with wildlife conservation but infrastructural projects too. This will cease once the UK has left the club. An Alderney post-conference press release plaintively states that EU funding for UK Overseas Territories conservation must be replaced. Luckily for us Gibraltar isn’t among the places most likely to see its fauna and flora jeopardised by any environmental retrenchment. Islands like St. Helena and Bermuda have hundreds of species that are found nowhere else and others, the Caymans and Montserrat for instance, are home to endangered species. 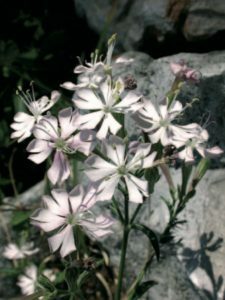 Gibraltar on the other hand only has two known endemic species, the Gibraltar Campion and a type of snail, and neither is in imminent danger. That doesn’t mean we can afford to be complacent. Gibraltar has benefitted enormously from European structural funds down the years: Commonwealth Park, which was part-funded by the EU, is one high-profile example. This source will dry up after Brexit. And whereas other Overseas Territories know that UK cuts would harm the environment in their parts of the world, we don’t know yet whether and how we on the Rock might be affected. Let’s hope the Prime Minister keeps her promise to steadfastly support Gibraltar, its people and its economy. And that she’ll be steadfast too in upholding the sovereignty of British Gibraltar Territorial Waters should Spain seek to justify future incursions on the basis that it’s enforcing EU law. As a victim of a traffic accident some years ago I’m wholly in favour of combatting speeding on our roads. I therefore welcomed the news that speed cameras installed in some of our ‘hot spots’ are now operational and will be used to identify offending vehicles. Launching the initiative, transport minister Paul Balban revealed that 1,700 drivers were logged breaking speed limits in the space of just one weekend. Recklessness of this sort must be stopped, and if the cameras serve as a deterrent they’re a very worthwhile investment. There are, however, some issues that I think need clarifying. 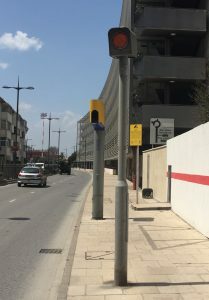 “All speeding offences captured by (the cameras) will be transmitted on-line real time mode to inform the offices of Gibraltar Car Parks Limited (GCPL). A Notice of Intended Prosecution (NIP) will then be issued and sent by registered mail to the registered owner of the vehicle. This will notify the owner of the intention to commence legal proceedings for the alleged offence of speeding. 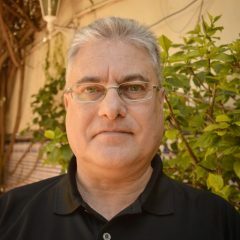 The owner must then reply to GCPL within 28 days providing the full name and address of the driver of the vehicle at the date and time of the offence”. The only stipulated time limit is the 28 days for the vehicle owner. There’s no similar restriction on the issuing of a Notice of Intended Prosecution. If many weeks or months elapse before the owner is notified of the alleged offence is it not unreasonable to expect him to remember who was driving the vehicle on a particular day, at a particular time? Better, surely, to specify time frames for both stages of the process. And how will the authorities prove that an offence was, in fact, committed? What protection does the citizen have from a spurious, or mistaken accusation? Another misgiving of mine is the one-size-fits-all fine, or “Conditional Offer” as it’s euphemistically termed. Regardless of whether offenders have broken the speed limit by one or one hundred kilometres per hour they can avoid prosecution by paying a £100 fixed penalty. To my mind it’s unfair that a driver who may inadvertently cause his vehicle to exceed the limit by a few kph is penalised just as severely as one who speeds dangerously and deliberately. Still on the subject of the fixed penalty notice, these will be sent to the driver “as declared by the owner of the offending vehicle”. Maybe there are good reasons against it, but wouldn’t it be more straightforward to make the owner liable in the first instance and not the driver, just as a dog owner is responsible for his pet’s fouling? Then there’s the question of motorcycles and mopeds, most of which have the number plate at the rear. Will the speed cameras be effective in identifying them, or will their riders be immune from this particular law enforcement measure? Well, it seems that half of them will be! The government’s press office told me that “at this point” the system identifies all four-wheeled, but only 50% of two-wheeled vehicles. It didn’t explain which, or by when 100% will be identified, and denied this meant the system discriminates against drivers. Spare a thought too for postal workers and court staff, who are likely to see their workload increase as a result of this new policy. My intention in this piece isn’t to shoot down the speed cameras scheme. Like I said at the outset I approve of measures that result in slowing down traffic, thereby making our streets safer. I would simply urge that common sense is deployed in conjunction with the cameras themselves. Author gibstevePosted on 6th May 2017 1 Comment on Up To Speed? An Economist reader had a novel, if improbable, solution to the UK’s Brexit woes. Britain should simply become the 11th province of Canada. This, a Mr Ted Stroll argues, would allow Britain to have its trade cake and eat it too. Canada and the EU have a trade agreement and the UK would accede to it as a Canadian province. It would also join the North American Free Trade Agreement (NAFTA) and enjoy liberal trade terms with the United States. Canada’s provinces have wide powers and by treaty the UK’s could be even broader, he suggests. The Queen would remain head of state, Britain could keep the pound and English, together with French, would be the official language. Mr Stroll points out that such a move would not be unprecedented. Newfoundland left the UK and joined Canada in 1949. Time to think outside the box, he concludes. Maybe so. But somehow I don’t think the idea will cut much ice with Theresa May, or whoever is Prime Minister after 8th June. Let’s hope not anyway: If the UK ceased to be a sovereign state what would happen to Gibraltar’s sovereignty?! Rather more serious food for thought comes from the President of the European Investment Bank (EIB), the world’s largest international public lending institution. Brian Unwin notes that if Britain leaves the EU it will cease to be a member and shareholder and will no longer be eligible for EIB finance unless there’s a treaty change, which he considers unlikely, or the bank’s governors agree unanimously to continue financing projects in Britain. This would depend on the outcome of the Brexit talks. There is therefore, according to Mr Unwin, a serious risk that Britain will be denied a major source of long-term, low-cost investment financing. Over the past eight years the EIB has committed €40 billion to projects in the UK. The EIB President says that, at a time when Britain will desperately need to retain the confidence of external investors to promote economic growth and employment and to help finance its current-account deficit, the loss of EIB finance could be another unintended but damaging consequence of the British government’s hard Brexit policy. It would also be bad news for the Rock if we’re looking to a cash-strapped UK for financial assistance post-Brexit. I guess the EU now has 1GB of free space. What could follow Brexit? Grexit. Departugal. Italeave. Czechout. Oustria. Only Remainia will stay. It’s important to just accept the result and move on. Possibly to another country. A Scotsman, an Englishman and a Gibraltarian walked into a bar. The Englishman wanted to go, so they all had to leave. Author gibstevePosted on 1st May 2017 Leave a comment on Brexit, Canadian-style?